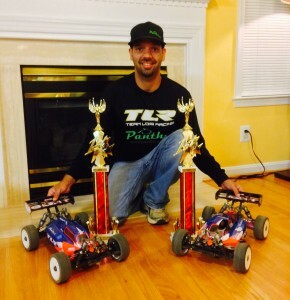 Zayas wins Awesome RC Fall Series on Panther Tires! 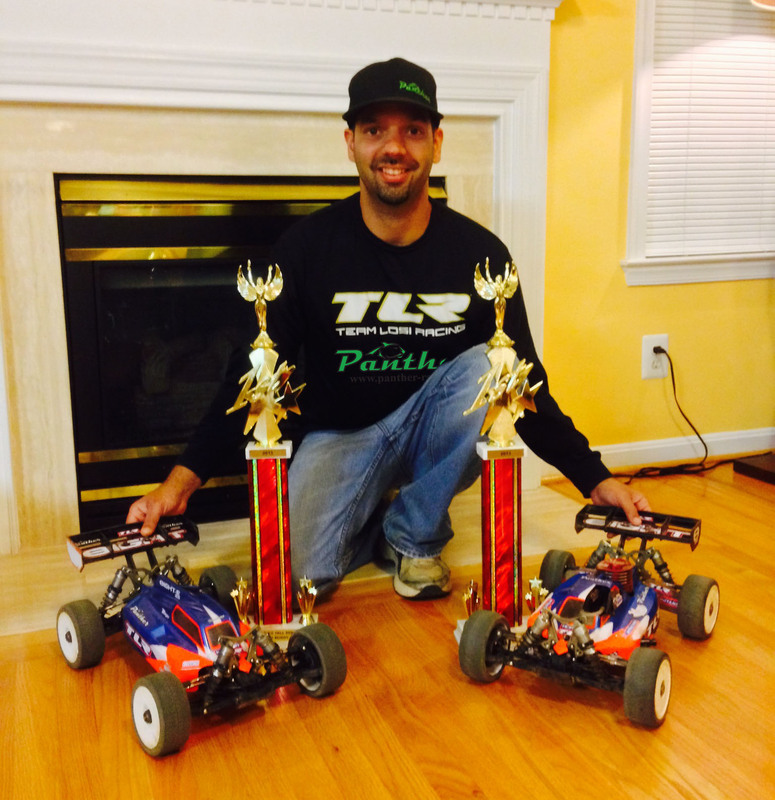 Panther Tires team driver Jose Zayas wins the fall series at Awesome RC, in Fredericksburg, VA. Jose took 1st place with his Tekin powered TLR 3.0 eBuggy and Maxy powered TLR 3.0. During the competitive 5 race series Jose ran a combination of Panther Tires on DE Racing wheels to keep up with the changes in weather and track condition, and ensure the wins. Series winning tire combinations included soft and super soft Raptors with Orange CC foam in nitro buggy, and soft Rattlers and Raptors with Orange CC foam in eBuggy. This entry was posted on November 4, 2013. It was filed under Race News.